The word limes was used by Latin writers to denote a marked or fortified frontier. This term has been adapted and used by modern historians as an equivalent for the frontiers of the Roman Empire. Even if it is widely used, nowadays we know that the term limes became common only after the third century, when it denoted a military district under the command of a dux limitis. 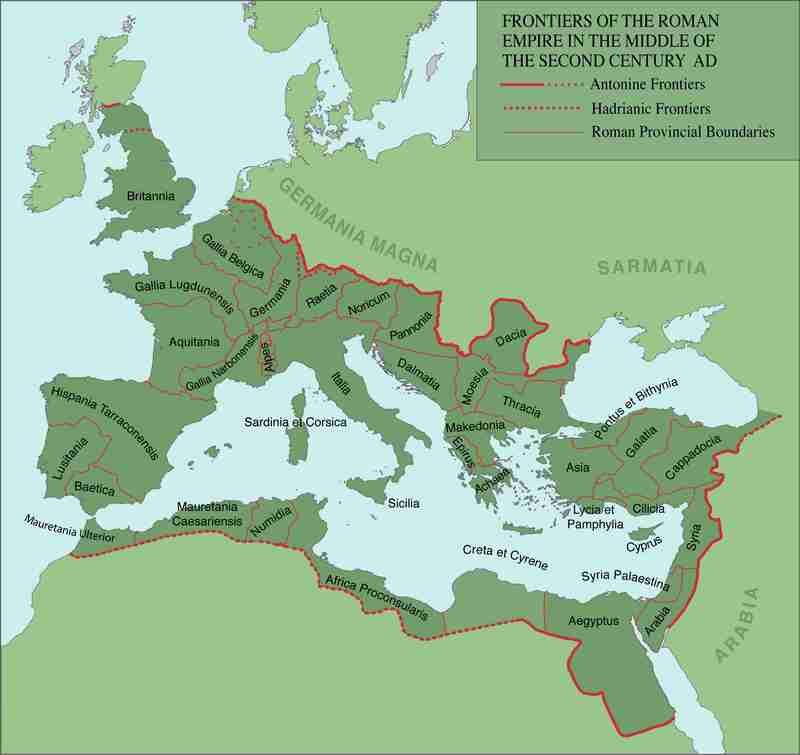 The Roman Limes represented the border line of the Roman Empire at its greatest extent in the 2nd century AD. It stretched over 5,000 km from the Atlantic coast of Scotland, through Europe to the Black Sea, and from there to the Red Sea and across North Africa back to the Atlantic coast. The remains of the limes today consist of remnants of built walls, ditches, forts, fortresses, and civilian settlements. Certain elements of this defensive line have been excavated, some reconstructed, but many were destroyed. It’s an outstanding example of the Roman military organization and illustrates the defensive techniques and geopolitical strategies of imperial Rome.